Is the Queen in danger of backing a Cameron coup? The word, until now, from the Palace has been that the Queen will not give a Queen’s Speech on the 27th May unless it is clear that the party providing the legislative programme has the support of a majority in the House of Commons. The polling day issue of The Times has a story on the front page indicating that the Queen has done a U-turn on the issue and will delver the speech she is asked to give, even if it is subsequently defeated in a vote in the Commons. This is of major constitutional concern and drags the monarchy into a potential minefield she, on advice, was determined to avoid according to previous reports. Cameron has made it clear that if the Conservatives are the largest party he will view that as a mandate to stay in Downing Street and form a government. As incumbent, he has the advantage of staying until the composition of the next government is clear and beyond doubt. The longer he can hang on, the more the public will demand the issue is settled and the red tops will scream at any alternative potential government. If a majority of MPs vote against a Queen’s speech in early June, there would then be 14 days for the formation of an alternative government that has the backing of the Commons. The consequence would be the UK would not have a government until the middle of June. As the summer recess is then only a few weeks away the UK could be in chaos until the autumn when Parliament returns for a few weeks before the autumn recess. The ‘Mother of Parliaments’ would become the ‘Mother of Chaos’ and it would become impossible for the Queen to be divorced from a situation she was previously reported as having wanted to avoid. With one of the other front pages today demanding that we vote to put the ‘Great’ back into Britain, this represents a constitutional shambles that will damage the UK, and by extension Scotland. A situation that is in no one’s interest – least of all a monarchy that has its own interest to protect. Clegg will talk to the largest party first. Labour have told us over and over again, that the largest party gets to form the government, so they have weakened the case for a Labour government able to command a majority in the Commons with support from the SNP and other progressive parties. Senior Labour sources told the Financial Times yesterday that putting together a rival grouping could prove difficult if the public believes the Tories ‘won’ the election. The Queen is now in danger of being drawn into a protracted timetable of who will form the next government, prolonging uncertainty for possibly weeks. The Cameron game plan is to stay in Downing Street and to achieve this he has given his policy advisor, Oliver Letwin, the role of setting up a deal with Clegg to be unveiled this Friday. The longer Cameron can sit in Downing Street the more difficult it will be for Labour to vote against a Queen’s speech according to private briefings from Labour ‘senior sources’. Quite simply Labour’s heart is no longer in this election and they are increasingly appearing resigned to another term in opposition. The Queen is an establishment figure and must not rush to seemly legitimise a soft Cameron coup before the procedures in the Fixed Term Parliament Act have been followed through to their conclusion. For Scotland the main issues are an end to austerity and the transfer of more powers, something close to federalism, as vowed in the final days of the referendum campaign. So we must keep our eye on the ball and not become sidelined on issues over the monarchy. 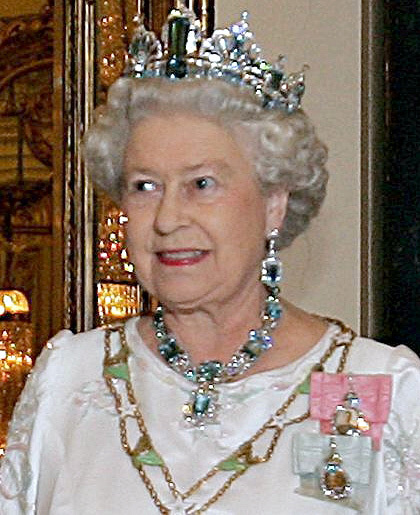 It is for the politicians to sort things out after the election and inform the Queen accordingly – otherwise the Queen could be seen to be interfering in the democratic process, raising questions over the sovereignty of the UK parliament and the role of a Prime Minister ‘squatting’ in Downing Street. In Scotland we take a different view of where sovereignty lies, but this is a big thing for Westminster and is perhaps the clearest part of the British unwritten constitution. Traditionally the Prime Minister advises the Queen, but he would not be in a position to provide impartial advice whilst the largest party versus largest group of MPs is unresolved. That places the Queen in an uncomfortable position. The Palace is using the outcome of the December 1923 general election as a precedent. The Conservatives were the largest party, but did not have a majority. The King’s Speech went ahead and was voted down. Stanley Baldwin resigned and Ramsay Macdonald formed the first Labour government. The Conservations, including Uster Unionists, had 258 seats, Labour 191 and Liberals 158. This entry was posted in Queen, Royal family, Westminster. Bookmark the permalink.